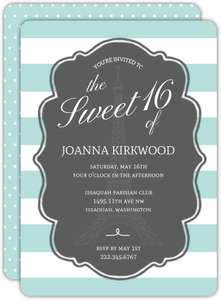 Sweet 16s, like quinceañeras, are varied in the type of event it could be. 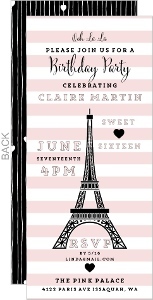 Sometimes it's a small engagement with your closest friends, or sometimes it's a full out bash in a castle. 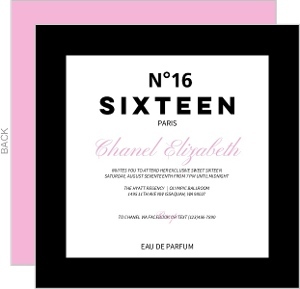 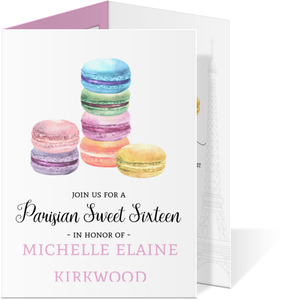 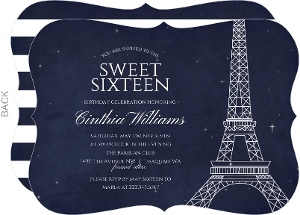 The idea is to make that day extra memorable, and we'd be happy to help with our custom Sweet 16 Invitations. 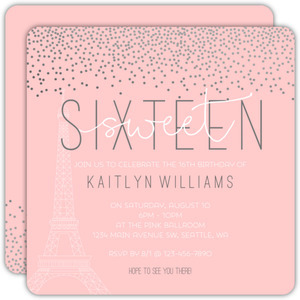 We've got a lot of designs, and don't forget that any card on this site can be made into a sweet sixteen invitations, so if you don't like what you see on this page, maybe another type of invite with some customization might suit you better.